Our neighbourhood gardens are being cut back as the flowers die off and we start preparing for winter. But a few hearty blooms still hang in there, and they seem all the lovelier for their tenacity! 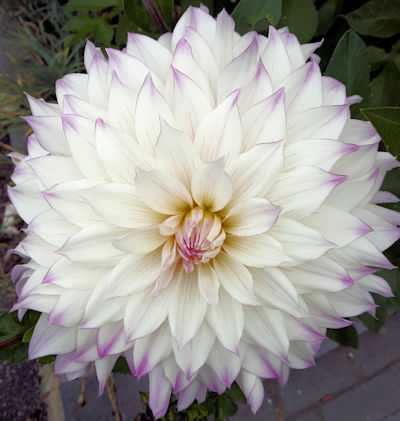 Just look at the delicate lilac tips on the petals of this dahlia – she certainly lives up to her reputation as Queen of the Autumn Garden. Mother Nature amazes me with her artistry!